Wasps at the Ricoh Arena. INDEBTED rugby club Wasps are reported by the Financial Times to be under investigation by the Financial Conduct Authority over cooking the books – after a Coventry Observer investigation raised questions with the watchdog and other authorities. Our probe last year came after we revealed how auditors PwC had resigned after finding Wasps’ accounts had been falsified with an “override of management controls” by £1.1million – which would have made Wasps’ financial performance appear better to bondholders. The Financial Times reported on Friday that the FCA is now investigating whether the market was misled by Wasps in how it responded after PwC’s audit – with bonds bought and sold on the stock exchange. Our investigation had raised the matter with the FCA, London Stock Exchange, the police and other regulators – and called for an inquiry into whether the markets had been properly notified. Some financial watchdogs told us it was confidential as to whether they would be investigating or not. According to the FT report, the FCA has opened a formal investigation and is calling in individuals for interviews. 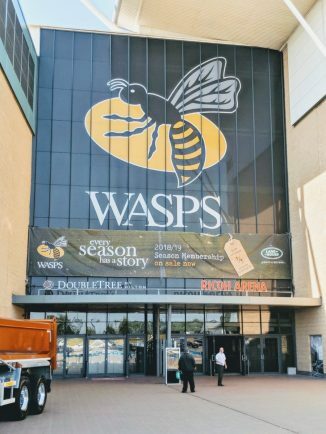 Wasps had breached its ‘covenant’ pledges to bondholders – who hold £35million of Wasps’ £55million debts – after it had falsely classed a further £1.1million shareholder contribution by owner Derek Richardson as income. It claimed it was an ‘error’ and bondholders later agreed to waive the covenants – before PwC last year revealed the full extent of the falsification in an accounts audit statement. The bond was launched after the then London Wasps in 2014 moved to the Ricoh Arena when Coventry City Council – in dispute with Coventry City’s owners Sisu – agreed to sell the stadium on a 250-year lease not offered to the football club. Latest six-monthly unaudited Wasps accounts on its website for the end of last year show liabilities of around £55million, with loans from ‘ultimate shareholder’ Mr Richardson rising to £18.4million. The ‘going concern’ status in the latest audited accounts states Wasps Holdings Limited is reliant on Mr Richardson’s loans continuing. The bonds are due to be paid back by Wasps in 2022. Interest payments for the bond scheme stand at £2.2million a year (at 6.5 per cent). 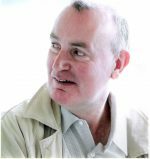 Auditor Mazars was appointed last year after PwC resigned. We had also asked Wasps who was involved in the decision to falsify the accounts.